LG Hausys produces and distributes the solid surface material HI-MACS®. HI-MACS® can be bonded seamlessly, thermoformed and is available in 94 colours across 10 different colour ranges including a set of translucent colours. Every installation is backed-up with a variety of certificates and a 15-year warranty when they are fabricated by a member of the HI-MACS® Quality Club. HI-MACS® allows for visually seamless manipulation. Smooth integration enables large areas without joints or edges as well as flush mounting of sinks or bowls. Not only do objects made from this solid surface material appear to be works of art cast from a single mould, the material's seamless manipulation and non-porous nature create surfaces which are extremely hygienic, easy-to-clean and thus ideally suited for use in hospitals and laboratories. The seamless finish also allows for repair and replacement without a visible trace should any part of a HI-MACS® installation be damaged at any time. Along with choice of material, colour selection is a crucial factor when it comes to high-quality design. Elegant Alpine White, warm Toffee Brown, bold Florida Orange, mystical Cima, translucent pastels or fine shimmer textures. 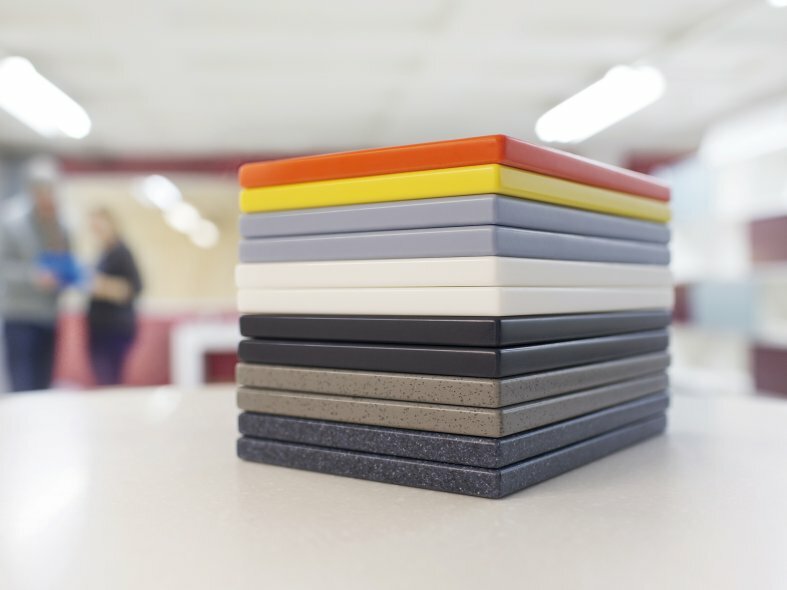 HI-MACS® offers a wide range of colours in a large variety of shades. 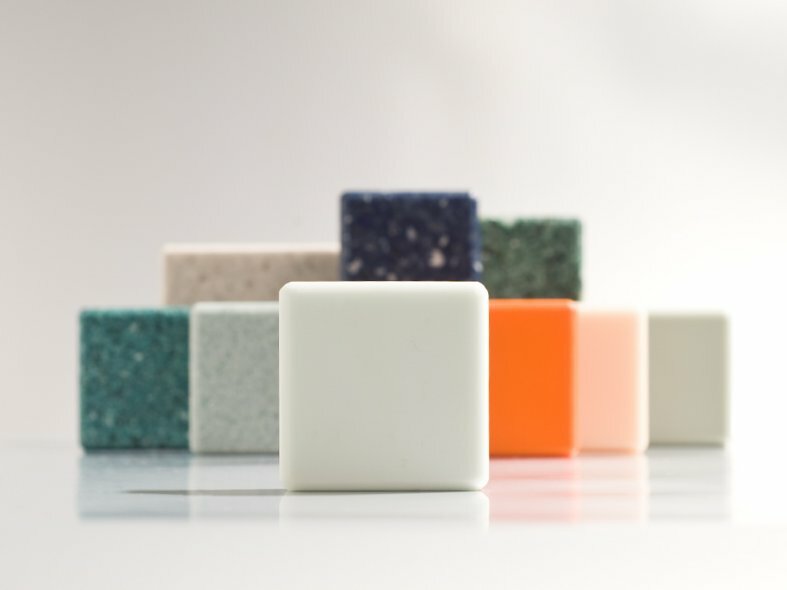 HI-MACS® remains 100% homogeneous regardless of the colour selected. HI-MACS® boasts a simple heating process and three-dimensional thermoplastic forming capabilities. This allows for greater forming flexibility compared with other conventional materials so that spectacular ideas can quickly take on a concrete shape. No radius, shape or angle is impossible. The logical conclusion: a material that moulds to your idea and designs - not the other way around. Exactly how it should be. Some colours and thicknesses of HI-MACS® exhibit a special translucency when exposed to light. 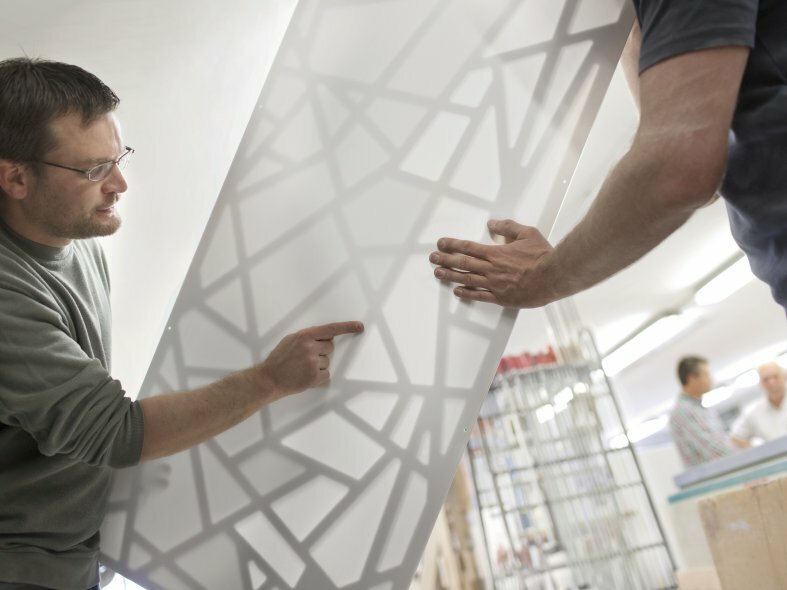 Various textures and patterns can be built into the material to intensify the HI-MACS® translucency effect. Depending on the light source, pattern and design, spectacular cut-out effects can add visual interest and create a completely new sense of space. The translucent properties of this solid surface material make it the perfect choice for lamps and illuminated furnishings. Although HI-MACS® is almost as robust as stone, it can be worked in the same way as wood. Using conventional carpenters' tools, this solid surface material can be sawn, routed or drilled. It lends itself to the creation of an endless variety of multi-dimensional forms and much, much more. 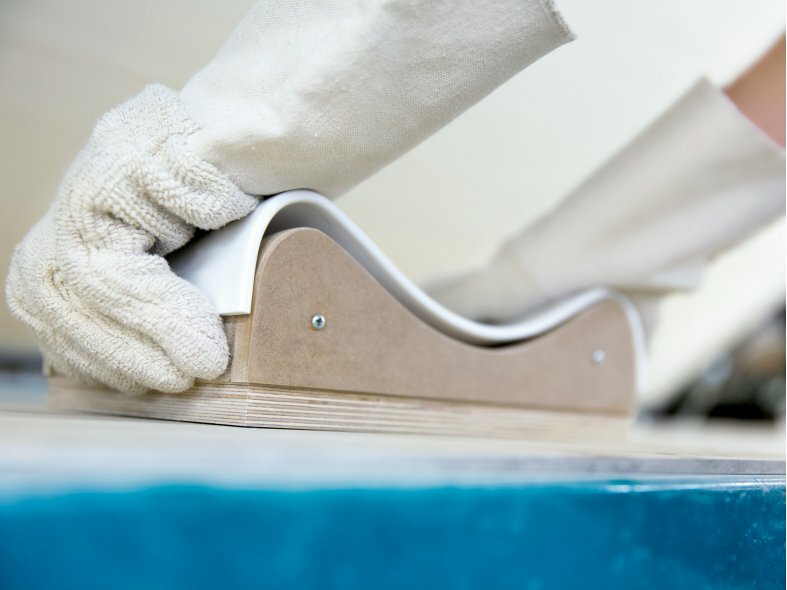 No wonder most people working with the material have a background in woodworking and appreciate HI-MACS® as a natural partner for innovative ideas.